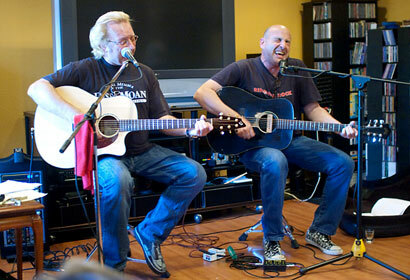 John Wicks, lead singer of almost-famous British post-punk, power-pop combo the Records, and Paul Collins, who tilled similar fields with the Beat, joined forces in an exemplary living-room show in the friendly confines of Casa Padilla, a modest condo owned by John Padilla, hidden deep in the suburban San Jose outback. Wielding nothing but acoustic guitars and their well-traveled voices (Wicks’ raspy tenor and Collins’ booming baritone), they didn’t forget to bring the most important element: the small steamer trunk of terrific songs each has penned over the past 30 years. When the pair, who first met five years ago in Spain, kicked things off with a stirring rendition of “You Tore Me Down,” the Flamin’ Groovies’ 1975 comeback gem for Greg Shaw’s Bomp! label, the bar was set for a fine evening of jangling, melodic rock. Wicks and Collins didn’t disappoint. Wicks, who now resides in Los Angeles, and Collins, based in New York, are in the middle of a nationwide tour of people’s homes. As a flock of northbound Canadian geese honked overhead, both chatted amiably in the back yard before the gig, while guests filled up on tacos, wine punch and mini-bar bottles of booze. Wicks explained the back-story of the Records’ best number, “Starry Eyes,” a delightful 1979 impaling of former manager Frank Silva, lounging about in the south of France while the band cooled its heels in London, waiting for its career to take off. “He thought we were off the boil, so he was busy with his new signing, the Yachts,” says Wicks. “Starry Eyes” concludes with the killer couplet: “We had no time for cocktails or working up a tan/The boys have all been spoken to, the writ has hit the fan.” Wicks has talked recently with the song’s co-composer, drummer Will Birch, as well as bassist Phil Brown about a full-scale Records reunion. Nothing shaking yet. Collins, too, says he tried recently to reform the Nerves, the fabled L.A. pop/punk trio that featured Collins on drums, guitarist Jack Lee and bassist Peter Case. In 1976, the Nerves rented a Hollywood basement at the corner of Gower and Sunset at the onset of the punk revolution to showcase themselves, dressed in sharp, three-piece suits, alongside Smogtown crash ‘n’ burn aggregations the Dils, the Weirdos, the Zeros and the Screamers. Case would be happy to resurrect the Nerves, says Collins, but not with Lee, the man who wrote “Hanging On The Telephone,” later a worldwide smash for Blondie. Since Lee penned most of the Nerves’ material, that effectively derails a reunion. The tandem wound things up with of a sharp medley of the Hollies’ “Bus Stop” and “Things We Said Today,” by “the other John and Paul.” A couple of Nerves songs, “Paper Doll” and, naturally, “Hanging On The Telephone,” led to a stirring finale of “Starry Eyes,” an anthem that still gets the blood racing. “Tell all your friends to hire these guys,” said Collins as the pair knocked back self-congratulatory shots of whiskey. “I’ve done about 15 of these shows since 2000, and I think this was the best one yet,” said starry-eyed host Padilla afterward, as the crowd began to depart. 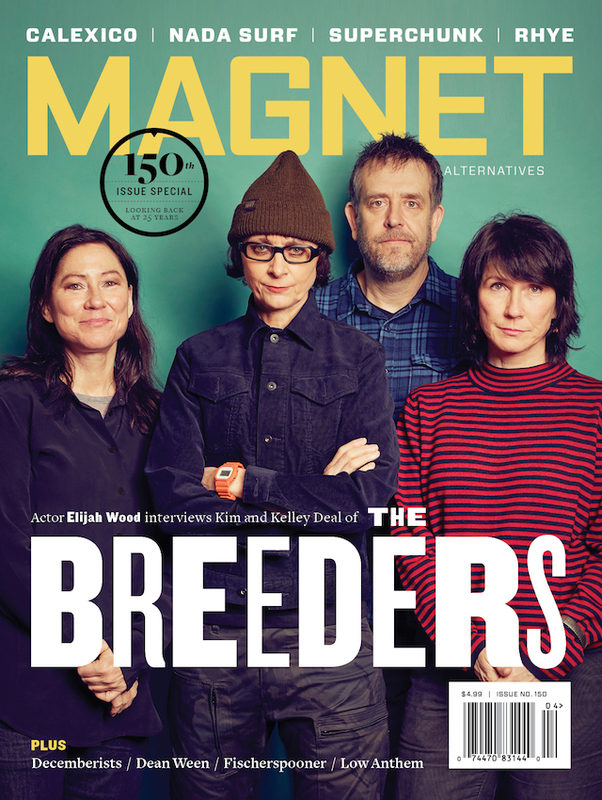 Having attended one show with John Doe and Jill Sobule and a pair by Ken Stringfellow and Jon Auer of the Posies, I’m inclined to agree. With a set list this good, how could it not be?